Big thank you to everyone that took the time to enter our Go Festival ticket giveaway. Could the following ticket winners please contact us on [email protected] to arrange delivery of tickets. This article appeared in the Gippsland Farmer in January 2013 about the Chemical Maze. You can click on the image to read it in full. 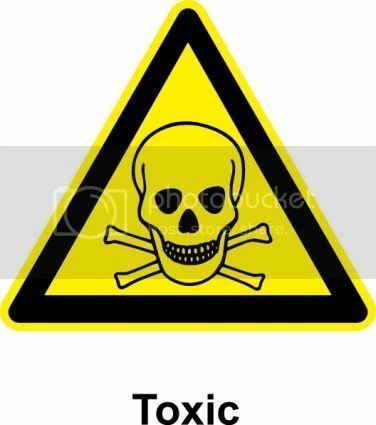 Is your’s a toxic home? Due to a certain amount of media coverage over the last few years more people are becoming aware of the problems that certain food additives and ingredients in cosmetics can cause; and so we read labels to avoid the nasties. But how many people know about the harmful effects of toxic chemicals in household products? Many homes contain commercial products like air fresheners, bathroom cleaners, floor polish, fabric softeners, oven cleaners, window cleaners and many more. In fact, according to the NSW Office of Environment and Heritage, the average home today contains more chemicals than were found in a typical chemistry lab at the turn of the 20th century. Results show that household products give off more than 133 different volatile organic compounds (VOCs). One of the major causes of VOCs in homes is the use of household cleaners and other products like air fresheners and pest control agents. VOCs include highly toxic chemicals like formaldehyde, benzene, glycol ethers, methylene chloride, perchloroethylene, toluene, trichloroethylene and xylene. Concentrations of many VOCs are consistently higher indoors than outdoors. 90% of all poison exposures occur at home. Toxic chemicals in household products are not required to be listed on the label. Air fresheners do anything but ‘freshen’ the air. They just cover up harmless natural odours with toxic synthetic ones. Common household cleaners give off fumes which can aggravate respiratory problems like asthma. Chlorine bleach is the chemical most frequently involved in household poisonings. Window cleaners often contain ammonia and butoxyethanol. Ammonia fumes can irritate the skin, eyes and respiratory system. Butoxyethanol easily penetrates the skin and can cause nausea, headaches, dizziness and eye and skin irritation. Oven cleaners can be one of the most dangerous cleaning products, which can cause severe damage to eyes, skin, mouth, and throat. Toilet bowl cleaners can be extremely dangerous cleaning products. Breathing the fumes can be harmful and they may be fatal if swallowed. Educate…yourself and your family about the perils of dangerous chemicals in your home. The Chemical Maze Bookshelf Companion has a section on household products. Eliminate…the household products that contain these chemicals. Ventilate…your home by opening windows instead of using air fresheners. This is not only cheaper but better for the environment and your health. Bicarbonate…most cleaning jobs in the home can be carried out with 2 or 3 natural ingredients like sodium bicarbonate (baking soda), vinegar and tea tree oil. Decorate…your home with house plants that not only look great but absorb and eliminate toxic VOCs. These plants include Native Kentia Palm, Peace Lily and Devil’s Ivy. Detoxicate…your body with the help of cleansing herbs and supplements on the advice of a qualified naturopath or nutritionist. Communicate…to all your family and friends, via word of mouth, email, Twitter, Facebook etc. that you have gone chemical-free in your home and invite them to do the same. Celebrate…your new found wealth, health, peace of mind and freedom from toxic household chemicals…perhaps with a little chocolate. Because there are currently no regulations requiring manufacturers of household products to disclose the full list of ingredients on product labels, this is anyone’s guess. However, most commercial air fresheners are composed of a toxic mix of potentially dangerous chemicals. These include formaldehyde, hexylene glycol, naphthalene, paradichlorobenzene, phenol, xylene and synthetic fragrance. Three of these are recognised cancer-causing agents and all of them are suspected of triggering asthma and allergic reactions, and also causing harm to internal organs. For more information about chemicals used in air fresheners and safer alternatives see The Chemical Maze Bookshelf Companion 2nd edition. Is your drycleaner a health hazard? Honey – can it be faked?